Are Turkeys Right For My Farm? Are you considering raising your own holiday turkey? Learn whether turkeys, which originated in North and Central America, are the right fit for your flock. Chickens are often called the gateway livestock, the animal most hobby and small-scale farmers start with before getting more types of animals. If chickens are the first-tier animals, then what represents the next level? 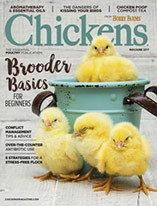 Ducks, goats, rabbits and guinea fowl are all arguably popular choices for folks looking to expand beyond biddies. 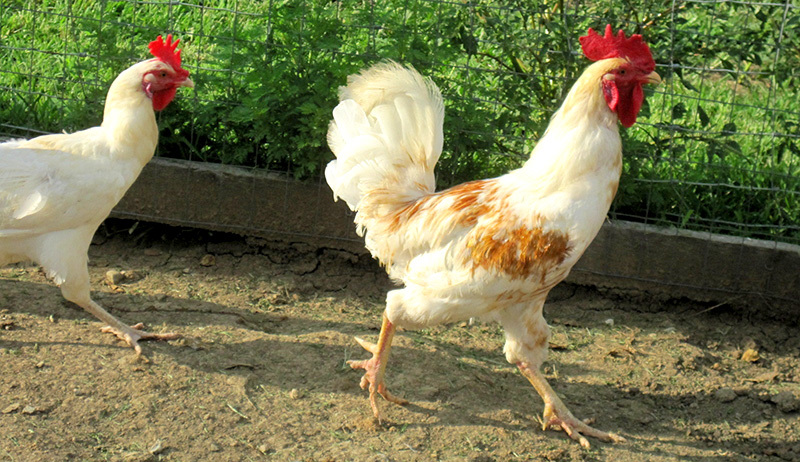 My husband, Jae, and I discussed the pros and cons of each of these animals when we decided to add a second animal to our heritage chicken farm. My argument in favor of goats was, “Fresh milk!” Jae countered with, “5 a.m. milkings in Michigan winter!” We went back and forth like that for months. In the end, the decision was taken out of our hands one summer afternoon, when our youngest, Bryce, came tearing into our studio from outside. “There’s a big chicken walking down our driveway!” he exclaimed. We dashed outside just as a female Royal Palm turkey hen, tail feathers in full display, strolled into view. Just like that, Henrietta joined our feathered family and started us on our turkey adventure. We’ve since had many other Royal Palms come and go, but we’ve never regretted adding these stunning domesticated fowl to our farm. Turkeys have many of the same basic needs that chickens do, which makes adding a small flock of these all-American birds a thriftier choice than adding waterfowl or a herd of mammals. Before you bring home a bunch of peeping poults, consider these six factors to determine whether turkeys are right for you. While there are dozens of breeds of domestic chicken, there is basically one breed of domestic turkey, Meleagris gallopavo, a direct descendant of the North American wild turkey. Several commercial and heritage varieties of domestic turkey exist, however. Small-scale farms have had success with such commercial varieties as the Broad-Breasted Bronze and the Broad-Breasted Large White (shown above), both of which grow quickly and have a high breast-meat yield. The Large White is much more popular than the Bronze because of the Bronze’s dark-colored pin feathers, which sometimes remain on the bird after processing and detract from its appearance. The American Poultry Association recognizes eight varieties of heritage turkeys, including the White Holland, Bourbon Red (shown below), Narragansett, Black, Slate, Standard Bronze, Beltsville Small White and Royal Palm. These varieties do not have the same feed conversion, growth or body size as the commercial varieties, but they are all stunning in appearance and are ideal for the hobby farmer as they tend to be more ornamental but can also serve dually as a meat bird. I personally love the gray-blue plumage of the Slate and the contrast of the black bands of feathers against the white found on the Royal Palm. 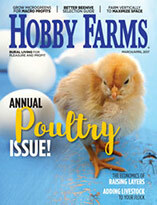 Even small turkey varieties are larger than the largest standard-fowl chicken breeds. Be prepared to provide your turkey flock with roomier housing than what your roosters and hens have. Each turkey requires approximately six square feet of space from age 2 months to adult; for a flock of six turkeys, a 40-square-foot coop would more than suffice. Because of their larger body mass, turkeys requires more ventilation than chickens, especially during the hot summer months. Their greater size and weight also necessitate a sturdier perch than that used by chickens; we use a 2-by-4 with its edges sanded down, installed 2 to 3 feet off the ground. Similarly, turkey nest boxes must be large enough to provide turkey hens with the space they need to lay and brood eggs. Our turkey nest box (one per four turkey hens) measures 24 inches high by 18 inches wide by 24 inches deep. Turkeys are excellent foragers and happily range freely … and widely. Naturally inquisitive, turkeys tend to wander pretty far, which occasionally leads to lost birds (we never did find the farm from which Henrietta originated). If you plan to free-range your turkeys, consider either permanent or portable fencing (or both) for your flock. Permanent fencing provides them with a wider range and protection from local predators, while portable fencing allows you to change their paddock on a weekly or biweekly basis, allowing for pasture recovery. Bear in mind that, unlike chickens, turkeys love perching up high—very high. If you have stands of trees within your ranging area, you’ll probably find your flock high up in the branches. On a similar note, you need fencing that is at least six feet tall. Turkeys that perch high also fly high. I’ve lost count of the number of times we had to search for Henrietta and her daughters, Alexandra and Catherine, in the state forests surrounding our farm. We always found them 10 to 12 feet up a tree we could not climb. Turkeys are susceptible to many of the same illnesses that can infect chickens, including avian influenza, pullorum, fowl pox and Newcastle. There is one condition, however, that affects turkeys to a much greater degree: blackhead (Histomoniasis). This illness affects turkeys of all ages and has an 80 percent to 100 percent mortality rate. Chickens can indeed develop blackhead, but this is rare; the bigger concern is that they serve as hosts for the blackhead parasite. Because of this, it is strongly recommended that turkeys not be housed in the same coop as chickens or use the same run or paddock. 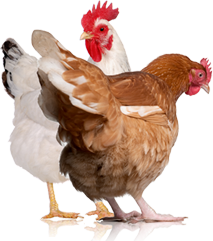 Turkey hens on the whole produce between 70 to 100 eggs in a laying season, which lasts about five to six months annually. Just as with chickens, certain varieties of turkey—the Royal Palm and Narragansett—go broody easily and make great mothers, while others—the Broad-Breasted Bronze and the Broad-Breasted Large White—rarely even mate, much less produce a fertile egg without artificial insemination. Whether it is gestated by a mother hen or incubated artificially, a turkey egg takes 28 days to hatch. The resulting infant, a poult, resembles a leaner, slightly taller chick, with a blip of flesh (its snood) at the base of its beak. If you plan to raise your turkey flock from poults, be aware that poults have a reputation for not being the brightest baby birds around. They eat sawdust and fine shavings, so avoid using these for bedding in your brooder. Poults need to be placed on their food so that they know where to find it. They need to be shown where their waterer is—and have their beaks dipped into the water so that they know there is actually water. The water level in the saucer should be made shallow by adding pebbles or marbles, because poults will accidentally drown themselves with a regular water level. Like baby chicks, they need a nutrient-rich starter, a heated brooder and fine grit to help them get through the first few weeks of life. The holiday season has arrived. Here are several tasty turkey recipes handed down to me through generations. The turkey originated in North and Central America. While European explorers and Asian traders later helped create new breeds, the birds got several names based on geographical misunderstandings.